Big Lie Exposed: TV Couple Neha Saxena And Shakti Arora Were Already Married Have To Head For Divorce Now? Big lie exposed? According to reports, Neha Saxena and Shakti Arora were not only engaged but were secretly married also. Now that they have parted ways, will it be called divorce? 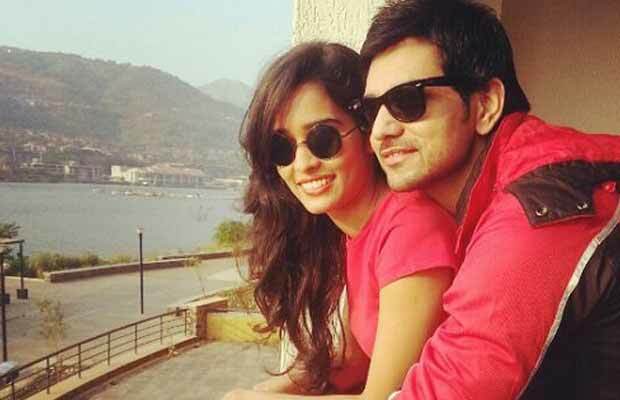 As earlier we reported, TV actor Shakti Arora, popularly known for his role in Meri Aashiqui Tum Se Hi, has allegedly parted ways with girlfriend Neha Saxena. After 4 years of dating and all the planning to tie the knot, the much in love couple has called it quits. A report in the leading daily suggests the couple has compatibility issues and so, have taken a break from each other. Reportedly, Neha had even visited Indonesia where Shakti is shooting for a TV series. As per Indonesian media, Shakti has been getting close with his fellow contestant, Zaskia Gotik, who is a singer. This made Neha visit Shakti there. However, she is back to India now, citing reasons of her visa expiring. Also, Neha has denied having any problems in her relationship with Shakti Arora. The actress said that it’s not true and that they are very much together. While sorts of reports are doing rounds about their break up, which is yet not clear, SpotboyE.com reports saying that Neha and Shakti Arora were already married. Yes, you read that right! As per entertainment portal, Shakti and Neha Saxena are married for three long years. The duo had married way back in 2014 at Goregaon Sports Complex, just a few weeks before Meri Aashiqui Tumse Hi launched on Star Plus during the same year. The two had kept their wedding under wraps due to professional reasons. In fact, they had kept their wedding under wraps for the longest time even with Ekta Kapoor, reports the portal. Well, now this is getting complicated! Now, we are waiting to hear from Shakti Arora and Neha Saxena on the same! Watch Video UNCUT: Salman Khan Introduces Tubelight Child Actor Matin Rey Tangu! Previous articleBox Office Prediction Of Salman Khan Starrer Tubelight! Next articlePhotos: Jhanvi Kapoor And Sara Ali Khan Spotted Twinning In White- Who Wore It Better?